What do Elvis, bullets, safaris, and grips all have in common? They are all popular collections of “college friendly” pens. Each of these collections is unique, reasonably priced, write fantastic and are the perfect pens for college bound students. Acme Studios now has an Elvis Collection. Expertly crafted with state-of-the-art components, each Acme Studios model comes in its own impressive presentation case. Fun, colorful and highly expressive, these Acme Studios writing tools are sure to provide their owners with plenty of creative inspiration…..which everyone could use as they head off to class. Do you sometimes like to escape to the far corners of the library or to the back of the local café in order not to be tempted by all the fun things that accompany college life? Are you not one to be sitting at a conventional desk either, rather on the floor or in bed with your pen facing upward? You may want to consider Fisher’s Bullet Collection. These Bullet pens are considered space pens because they have been selected by NASA for spaceflight; they were the only pens after rigorous testing to work in the extreme conditions of space so no matter where or how you end up studying you’ll know your pen will be reliable. Each year of college is like going on a new safari. You don’t know what strange creatures you’ll meet or circumstances you might find yourself in. Similarly, dorm and campus living can be a little more rigorous without all the comforts of home. Lamy Pens now has the Safari Collection. 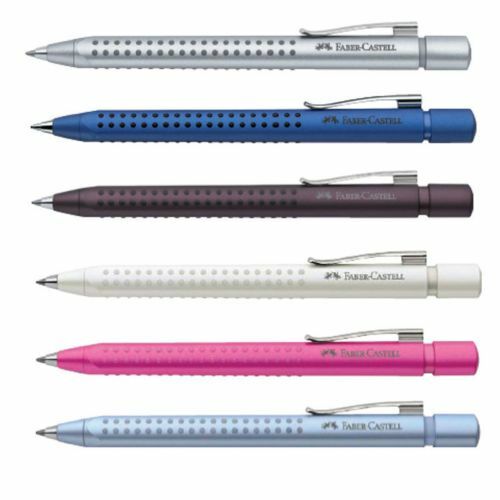 Safari pens are designed in sturdy ABS plastic, so they’re rugged yet light weight. They have a contoured grip which makes them easy to hold. The spring-wire clip slides into and out of any pocket with ease and they come in great eye-catching colors. Why not be ready for the jungle this year? Well here’s to another year of academia, I wish you the best. Remember to truly be successful in college you must both work hard and play hard and what better way to equip yourself then having the best college friendly pens close at hand! Now that the school year is upon us, it is once again time to purchase writing instruments for our children as they head into another year of academia. Instead of the same old routine of buying a package of ballpoint pens, pencils, stylus pens and highlighters; why not get one perfect pen to handle all four of these functions. Not only will you keep your child more organized, you will help the environment by reducing the number of pens purchased and because these pens are refillable, you are reducing the future purchasing of pens as well! Simplify your life and your child’s life and by purchasing a Multi-Function pen today! Pens, Pen Collecting, Pen Clubs & Organizations, Pens Shows……The World of Pens. Who collects these wide assortment of writing instruments and how do they spend their time? Now that I am submerged into the world of pens I’m kind of flabbergasted by the vast amount of ballpoints, rollerballs, fountain, felt-tip, erasable and limited edition pens available and the prices some people will pay to get these very coveted objects! First I’m curious to know who these people are! Do they have a particular kind of personality? Do they come from similar backgrounds? I myself do not collect a thing. My mother was a depression child, so she has a hard time throwing anything away…. as a result, in my household now that I’m all grown up, you better not set anything down for too long or it will end up in a bag headed for Goodwill or some other charitable organization. After doing a little research I’m finding pen collectors do not really stand out as any one particular personality type, in truth, I really cannot get a good answer about who these mysterious people are and why they like pens so much. From what I can gather, pen collectors come from all different walks of life, have all different types of personalities and are scattered all around the world! Interestingly enough, I did come across a woman in Germany, Angelika Unverhau, the world record holder for ballpoint pens…. 220,000 ballpoints from over 146 countries! Now that would be an interesting household to grow up in. I wonder what affect she’s having on her kids? With the emergence of the electronic age you think you would be hard pressed to find a pen show; not the case, you can still attend pen shows all over the world….from Chicago to London to New York and beyond. There are vast numbers of pen online forums, clubs and trading sites as well. I don’t know what rock I have been under for the last four decades but it seems that these things we use to write things down with have quite the following. You too can join the thousands across the globe that have joined the fascinating world of pens. Where shall you begin? Montblanc, Waterman, Cross, Krone, Aurora, Libelle, Fisher, Lamy….the list goes on and on! In ancient times, the Mesopotamians used pieces of dried reeds, bone, bits of wood and pieces of metal to write cuneiform – one of the earliest forms of written expression – into semi-dried clay tablets in order to record their history and document events. The utensils they used were called styluses. These styluses evolved and changed and eventually were used by potters to make designs in pots and vessels. Also, a specific variety of stylus is used by the blind to write braille. Beyond the history of its invention and its limited uses in pottery and Braille, the stylus has been a little-used tool by the general populace. But, the stylus has enjoyed a slow rise to prevalence once again as it finds its place alongside some of the most popular inventions of modern times. Now that nearly everyone has a phone with a touch screen, a PDA, an iPad or another portable device with a screen interface, the stylus is more important than ever. And when an item becomes popular, designers start to create items that people want. This is true of the styli we have at Executive Essentials. Executive Essentials carries seven different styli from 3 distinct companies; Lamy, Monteverde, and Fisher. All three of these great styli are unique in that they double as pens. That’s right. If you need to write on paper, these pens will do the trick, acting as smooth writing ballpoints. If you need to switch gears and turn your attention to your electronic touch screen companion –these pens convert into a PDA stylus ready to do what your fingers can’t. The Monteverde Stylus/Ballpoint pen has a straightforward concept, which makes sense coming from a company that is known for unique concepts and luscious designs. Their One Touch™ Stylus writing instrument offers a brand new smart design that incorporates a soft rubber stylus for touch screens into the top of the convenient click-action retractable ballpoint pen. This pen is uniquely engineered to write as a pen or operate on electronic devices like smart phones and tablet computers with just a flip. The Lamy and Fisher styli also do double duty as a ballpoint pen, but each in a different way. 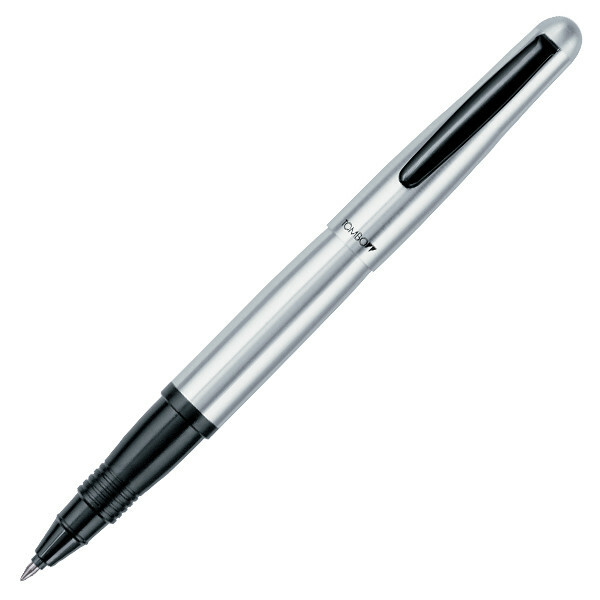 The Lamy has a cylindrical, matte, stainless steel finish that accents the modernistic technology of the pen itself. Just a twist of this pen switches between the ballpoint and the stylus. Fisher’s new multi-action pen features not just a ballpoint pen and a stylus, but a pressurized red ink pen and a pencil as well. Overachiever! The Q-4 features a beautiful dark gunmetal finish with a rubber lower barrel. The lower barrel has an excellent grip for comfortable writing. 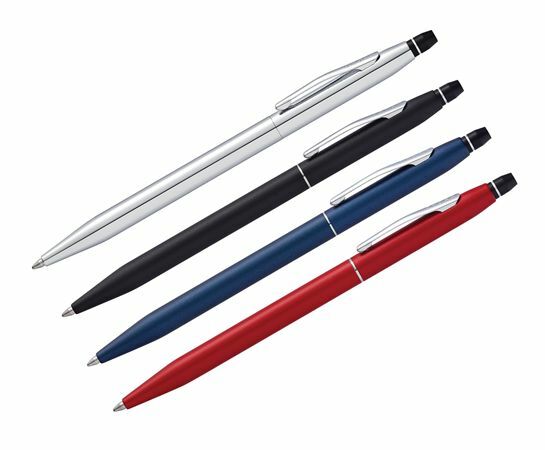 So take the time to look over the great styli we have at Executive Essentials and get rid of those old plastic pointers that came with your first Palm Pilot. The world is changing and fortunately, Lamy, Monteverde, and Fisher are allowing us to change with it – in style. In the world of collectible pens, there is a common misunderstanding that price equals quality. True enthusiasts know, however, that when it comes to pens, price equals the cost of materials and labor. With a little extra added in for profit of course. The reality is that no matter how shiny or sleek, a pen’s real value is tangled up in the way it performs on paper. Regardless of the precious metals forged into the barrel or adorning the clip. The Lamy Safari and the Lamy Studio are two excellent examples of pens that have a modest price but have a great value. In Swahili, safari means, “long journey”, which fits well with Lamy, a company that has been producing high-quality pens for decades. The Lamy Safari is a reasonably priced line of multicolored pens that steal from the design features of Lamy’s higher cost writing instruments. High-cost metals and gemstones have been swapped out with rigid ABS plastic that gives the pen a more affordable price, without sacrificing the feel of other Lamy lines. The contours of the barrel mold to the hand to reduce fatigue and a sturdy functional clip keeps the pen from rolling off any table. The Safari comes in ballpoint, fountain and rollerball styles. The Lamy Studio is the modern art twin of the Safari. The Studio has a much more refined presence without being pretentious. The barrel of the Studio is wide and metallic, with pin-straight lines, making it easy on the eyes as well as the grip. Having a barrel of metal gives the Studio a substantial weight that feels good in the hand. What is most striking about the Lamy’s Studio is the clip, which has a half twist that adds a very museum-piece like quality to the overall look of the pen. The Studio also comes in ballpoint, fountain and rollerball styles. Go ahead and spend some time looking through the wonderful pens that Lamy has to offer at Executive Essentials. But, as you do look, don’t forget to take into account that price doesn’t always mean quality. There is a slew of great pen deals at Executive Essentials on pens that won’t break the bank. A modestly priced pen like the Safari and Studio can give you excellent writing quality and aesthetics as well. 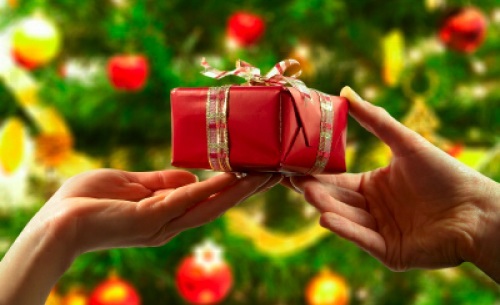 And, they make perfect gifts for any time of the year.